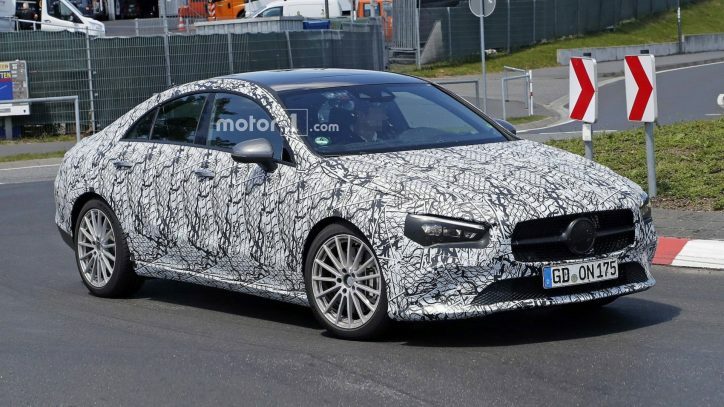 New Mercedes-Benz CLA spied by Motor1. When there was a confirmation about the arrival of the Mercedes-Benz A-Class Sedan, there were speculations that the Mercedes-Benz CLA will be discontinued in the US. However, this will unlikely be the case. According to RoadShow, the coming of the A-Class Sedan in the market will not signal the end of the CLA’s production. The source claimed that a new model of the CLA will be on sale next year. With that, the car will continue to be offered in US dealerships alongside the A-Class Sedan and the redesigned GLA. Mercedes is looking to make the CLA as the more upscale version of the A-Class. That is similar to the treatment made by the luxury car brand to the E-Class and the CLS. The A-Class is expected to carry a price tag under $35,000, and it will be Mercedes’ entry-point in the premium car segment of the US market. If that’s true, the cost of the new CLA will probably start closer to $40,000. The report is backed up by the CLA sightings at the Nurburgring track in Germany. The spy shots reveal that the car has a lot of similarities with the A-Class sedan with the exception of the sexier slope on its roofline. The source is not sure whether or not there will be enough room in the US subcompact premium sedan market to support both the A-Class Sedan and the CLA, especially now that their prices have been jacked up. That remains to be seen when the new CLA reaches the American soil.